"No one's death comes to pass without making some impression, and those close to the deceased inherit part of the liberated soul and become richer in their humaneness." The following was written by all five of Lee's children as a celebration of the life of their father. They believe this is the way that Lee would have wanted all of us to share this day. Leon Ivan DeGarmo was born on July 3rd, 1934, on a farm in Highland, Michigan, the youngest of nine children, to Raymond and Mila DeGarmo. 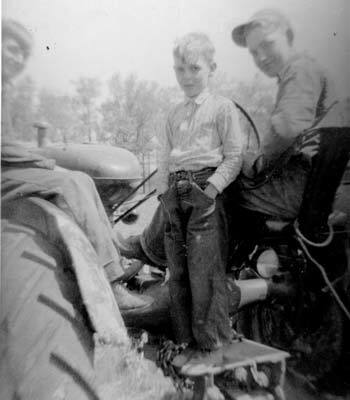 Dad's early years were spent on the farm where he was born, many times to be found following around his oldest brother A.D. When Dad was about 14 years old, he went to work at a Shell gas station where the workers and patrons began calling him "Pee Wee" because of his small size. He has been known for most of his life by this nick-name. One early memory Dad related to us was that every day, he and his sisters and brothers had to take a spoon full of cod liver oil. He was always the first one in line to receive his and then he'd run around to the back of the line to get seconds. Another memory was about his bicycle. Dad taught himself to ride by pushing his bike up the slope to the barn door, hopping on his bike and taking off down the slope. In order to get his bike to stop, he'd have to fall because his legs didn't reach the ground. He claimed to have the fastest bike in the neighborhood because he was constantly taking it apart, cleaning and greasing the parts and putting it back together again. 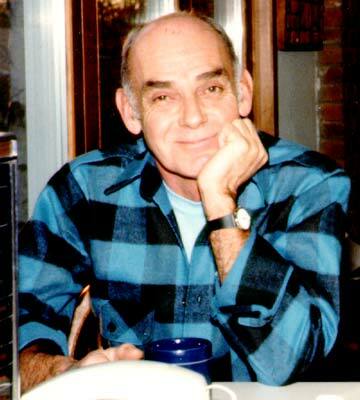 Dad began his early education at Highland Township School in the Oakland County Public School System. He entered Milford High School in 1948. 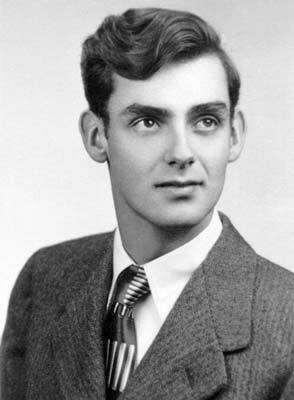 He was a member of the Future Farmers of America and graduated in 1952. The motto for the graduating class was, "Forward forever, backward never, within ourselves our future lies." Dad's personal motto, as noted in his yearbook, was "Take life easy, you live but once." His class will stated, "I, Leon DeGarmo, will my ability to move quickly to Everett Donaldson." It was said of Dad in the class prophesy, "Leon will become the physical education instructor at Vassar" (an all girls school). The senior interview posed the question, "Can you imagine Leon DeGarmo hurrying?" His pet peeve was walking and the song attributed to him was "Slow Poke." For the next five years, Dad worked a variety of jobs until entering military service with the United States Army on May 7th, 1957. During his service he was a radio operator, a motor vehicle driver and a mechanic badge driver, spending most of his time in Germany. 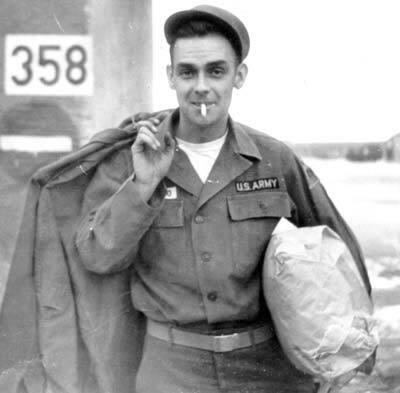 He was honorably discharged on April 27th, 1959, and remained on active reserves until May 6th, 1963. Dad said of his military career that he had never met anyone who had an easier tour of service than himself. He was fortunate to have served at a time of peace. From his military service, he went to work for Parks Installation in Milford, owned by Roy Parks, for about 21 years and was a member of the Pipefitters Union, Local 636, since 1972. He was a dedicated worker even through his injuries including the times when he hit his toe with a jack hammer and when he got a metal splinter in his eye, not even complaining until the splinter began to rust. In 1960, Dad married Patricia McCurdy and they remained married for 18 years. They had five children; Tracy Lynn, Leslie Ann, Blaine Lee, Tamra Marie and Brent A.D.
Dad was a committee member in a Dance Club to which he belonged for five years. 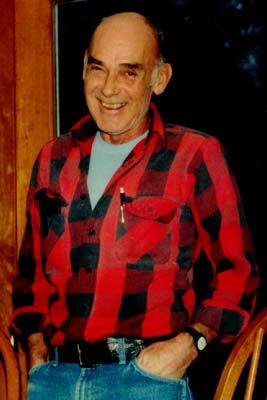 Over the years he enjoyed snowmobiling, motorcycling, bowling, playing poker, fishing and watching the grass grow. He was always thinking and often had words of wisdom, such as, "The less you talk, the more you learn." 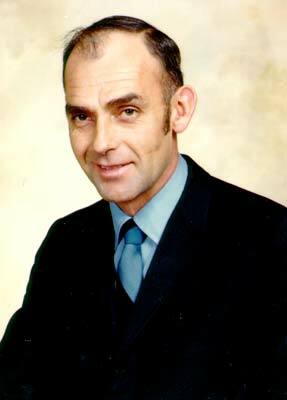 Dad was simple and easy-going and always seemed to find a positive for every negative in life. As he began to bald, he decided that it just meant that he wouldn't have to hassle with shampoo any longer, but just be able to use a washcloth to wash his hair. He didn't complain, dealing with whatever life threw his way. He wanted people to have a sense of humor and was always giving you a wink to let you know when he was kidding. Dad lived in Texas for a couple of years then moved back to Michigan, to New Baltimore where he lived until March of 1995. At that time he moved to Novi to live with Leslie and finally went to a doctor where he was diagnosed with emphysema. The past year has been spent dealing with his illness and spending greater amounts of time with all of us. Dad died at home, peacefully and quietly while he slept. The following are individual memories and thoughts that we have about Dad that we wanted to share with all of you today. We remember dad plowing the cornfield every year and we kids getting to sit on the fenders or ride on the hitch of the tractor. We can remember how much fun it was for us to be able to play in the back of his work truck from Parks Installation when he'd come home. It was even more fun when there was a pile of sand in the back of the truck. We always knew when Dad was almost home because we could hear his truck about half a mile away from the sound of the tires on the road. Some of us have vivid memories of sitting and watching sports on TV with Dad. Winter snowfall at night was great fun because we'd get to go outside and play in the snow in the dark while he plowed the driveway. Most of us remember watching Dad scrub away the day's grime from his hands every night when he'd come home from work. Most of the time we could find Dad putzing around in the back garage, tinkering on one thing or the other. When Leslie was little, she would always meet Dad at the door when he'd come home from work so that she could take off his hat. When he'd answer the phone, he'd answer in a way that made you think he knew it was you who was calling. Dad would tell stories about what he'd observed of the people, animals or elements that he'd seen when he had parked his truck at the dock. He always greeted Craig, his grandson with whom he lived for the past year, when Craig would come home from school by saying, "Howdy." Craig started calling him "The Howdy Man" and missed the greeting when his grandpa became bed-ridden. When people asked Dad about his health, he would tell them that he follows the rules of "Ma and Pa"... Mother Nature and Father Time. Just let things take their natural course. Whenever you'd ask Dad how he liked the meal you just prepared for him, he'd say, "It's edible." Then he'd smile and giggle. His philosophy was, "I eat to live, not live to eat." 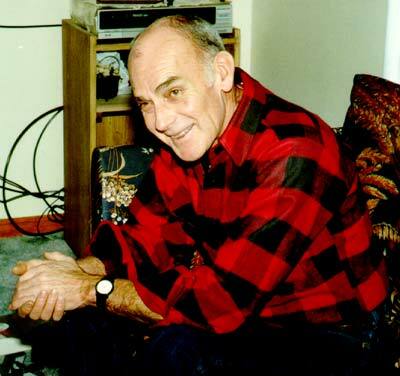 Dad's wardrobe consisted of T-shirts, plaid flannel shirts, jeans and work boots with everything but the boots almost always being blue. It made buying clothes for him easy, when he needed clothes, which was rarely. He was a hard man to buy gifts for. What do you get for someone who wants nothing and has everything he wants? After he became ill, he was disappointed by the fact that he had to take all kinds of medications that had been prescribed. He didn't even take aspirin prior to that and used to say that he hadn't had a headache in 20 years. He just didn't let things get to him. His favorite answer to the affirmative was "Okey Dokey." Dad used to like to "experiment." Once, after his new car was hit in a parking lot and dented, we asked him why he hadn't taken it in and had it repaired. He'd smile his usual smile and say he was conducting an experiment to see how long it would take to rust through. He said that he would send the results to GM and see if they'd pay him for his research. Then he'd laugh. Another experiment was when he was in the hospital and they had him hooked up to a heart monitor. He'd sit there watching the readouts and do different things, like cough, move around or hold his breath, to see if he could get the readouts to change. He said he wanted to see if the nurses would come in and check on him. He was a quiet, unassuming man who readily gave everyone the benefit of the doubt and who treated everyone with kindness and respect. The fastest that we ever saw Dad move was when Tammy was run over by a car when she was two years old. There's rarely been a time when Dad wasn't with us for family gatherings, no matter where they were or who was there.